Before I knew it I was being doused with frankincense, lavender and peppermint, and felt like an oiled up pro wrestler afterwards. Of course I can't say for sure if it worked or not, but the itch did seem lessened (the lavender) and the wounds began to ooze and then dry up. It could have been just the right time for my body to heal, but I would venture to say the oils helped speed up the process. Anel said she had curandera in her blood, or Mexican witch doctor, and that as she delved into this world of natural healing, she felt that she was channeling that part of her ancestry. 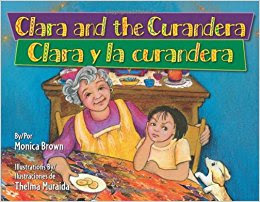 On this weekend I was certainly appreciative, and as I write this a few days later with healing sores, I must say I am grateful for the curandera in her! What struck me most about the whole thing, however, was the timing. I was truly in despair the days leading into this trip, as my poison ivy was not healing, but spreading all over. I felt like I was fighting a losing battle. But when we arrived, Anel's husband Josh, told me he had struggled with extreme reactions to poison ivy his whole life, and was able to share some remedies, as well as express the normalcy of the route my sores were in. They were on the backend of the healing, of which he was able to assure me from his own experience, which brought an ease to my troubled mind. I don't believe in coincidence, and so I have to conclude that God lined this up -- my poison ivy and this trip -- for my comfort. I'm not trying to make any statements about whether or not God causes pain, but rather to say that he is good in our pain. I received the comfort and assurance from my friends at just the right time, in a way I never expected, and it brought me through to the last leg of this topical illness that felt like it was never going to end. It is just another lesson in a lifetime of learning how to trust God more than my own feelings or emotions.